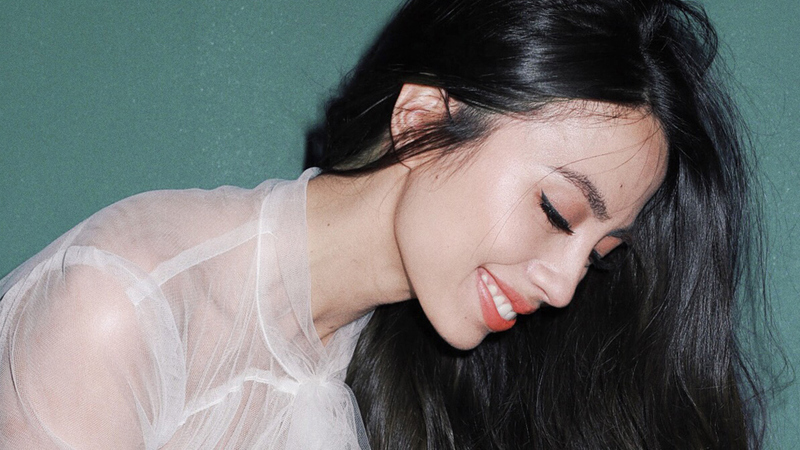 It Girl Martine Cajucom shows us how. To ensure that hair is strong, healthy, and beautiful, finding the right shampoo and conditioner is key. 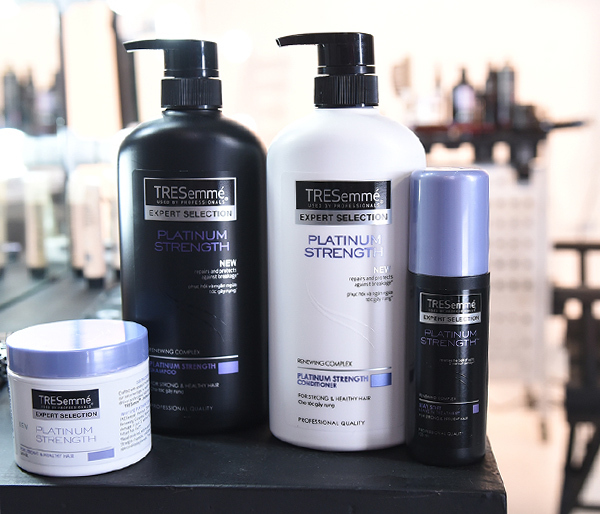 Start with the power combo of TRESemmé’s Platinum Strength Shampoo and Conditioner. The salon-quality system of these products can repair up to two years’ worth of damage by helping reinforce the hair’s natural protective barrier. Once your hair dries up (air drying is best), prep your locks with the TRESemmé Platinum Strength Leave In Treatment to add an extra layer of protection before you use your styling tools. Trust us, it will make all the difference. When asked what hairstyle she often resorts to, she says, “I always ask for something relaxed and wearable, ‘undone done.’ Messy ponytails and loose waves are my go-to, along with TRESemmé Dry Shampoo to texturize.” With hairstyling, tools must be carefully considered. Did you know that using a comb with metal bristles while your hair is still wet makes your strands more prone to breakage? While the TRESemmé Platinum Strength Leave In Treatment will do its job, it’s best to still do everything in moderation. Simply put, opt for plastic combs and adjust your styling tool to just mid-heat. You will only be frying your hair and overworking of your iron if you keep turning it up to maximum heat. 3. Take the term “beauty sleep” literally. They say one should never sleep with makeup on if you want your skin to be baby soft and poreless. But the same goes for your locks. After a taxing night of partying, your hair will need to recuperate. Wash away all that sweat, smoke, and pollution before you hit the sack. Martine says that her secret is quite simple. “Post event, my hair is pretty fried, so I use the TRESemmé Platinum Strength Leave In Treatment while I sleep.” Think of it as applying moisturizer, only this time to your mane to repair the damage. 4. Degunk your styling tools. Every time you style your hair, your tools can’t help but pick up product. If you don’t clean your brushes and combs regularly, the product residue will keep transferring to your locks, or worse, to your tools and then cause them to break down or malfunction. Degunk your tools regularly and you won’t have to worry about unwanted styling mishaps. 5. Nourish right, finish strong. When we asked Martine how she manages to #StandUpToStylingDamage, she flat out shared that she turns to two things: “The TRESemmé Platinum Strength collection and eating eggs." To keep hair strong, wash your hair regularly, use the Leave in Treatment before you undergo any styling, mitigate the harmful effects of heat styling by using TRESemmé Platinum Strength Treatment Mask weekly, and yes, eat a few eggs to give your hair its daily dose of protein. #StanduptoStylingDamage today by purchasing TRESemmé Platinum Strength Range from Zalora.